We love a good backyard cookout at Four Roses. 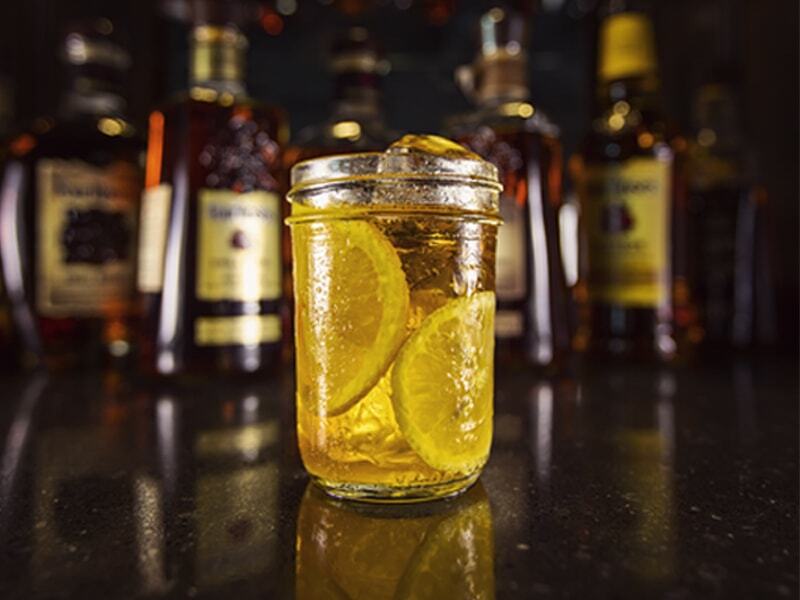 What better way to spend a mellow evening, mingled together with friends, family good food and even better Bourbon? We’ve come up with five simple ways to work Four Roses Bourbon into your next backyard barbeque that we’d like to share with you! Take a look, and please share with us on Facebook, Twitter or Instagram with the hashtag #HandcraftTheMoment so we can check it out! Heat a pan over medium heat and add butter. Once the butter melts, add the onion and sauté until clear, about 5 minutes or so. Turn the heat to low and add all the remaining ingredients, except for the bourbon. Stir continuously until the sauce is well combined and comes to a low simmer (about 5 minutes). 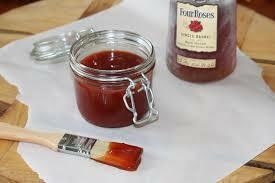 Add the Four Roses Bourbon and allow to simmer for 10 more minutes, stirring continuously so the bottom doesn’t burn. Turn off the heat and allow sauce to cool. (Optional – blend the sauce in a blender until smooth if you don’t like your sauce chunky with the onions). Add to your favorite chicken or pork for about the last 10 minutes of cooking time to allow the sauce to form a nice glaze. Photo and recipe courtesy of Culinary Kentucky. Cut lemon and orange wheels thin, three times each. Add all ingredients to mason jar, ﬁll with ice, cover and shake vigorously. Enjoy! Check out more Four Roses cocktail recipes here. Brown butter in a sauce pan on medium heat. As the butter nears a nutty brown color, add the Bourbon, watching out for flames as the alcohol burns off. Add maple syrup and stir to combine. 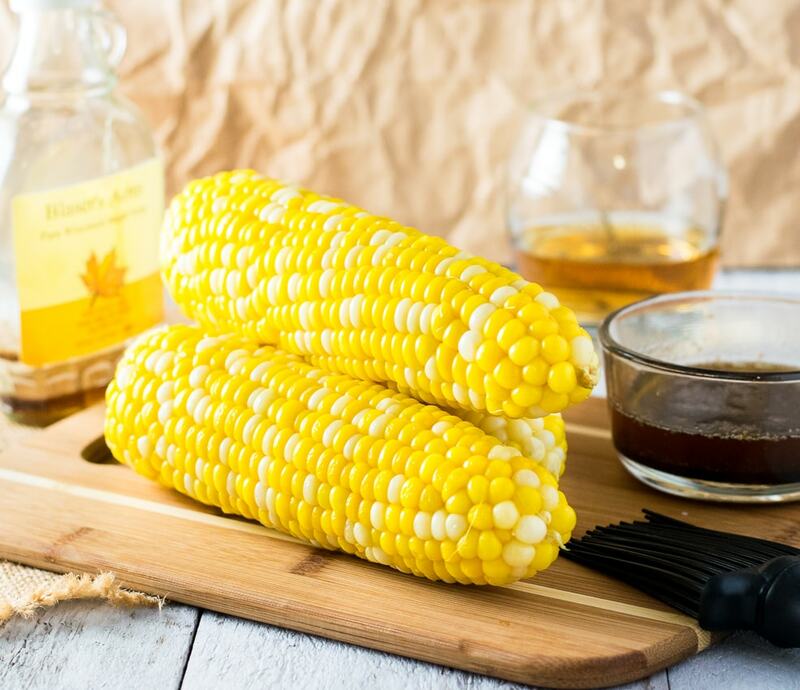 Pour sauce into dish and slather over grilled corn on the cob. Dust liberally with salt and pepper to taste. Photo and recipe courtesy of Fox Valley Foodie. 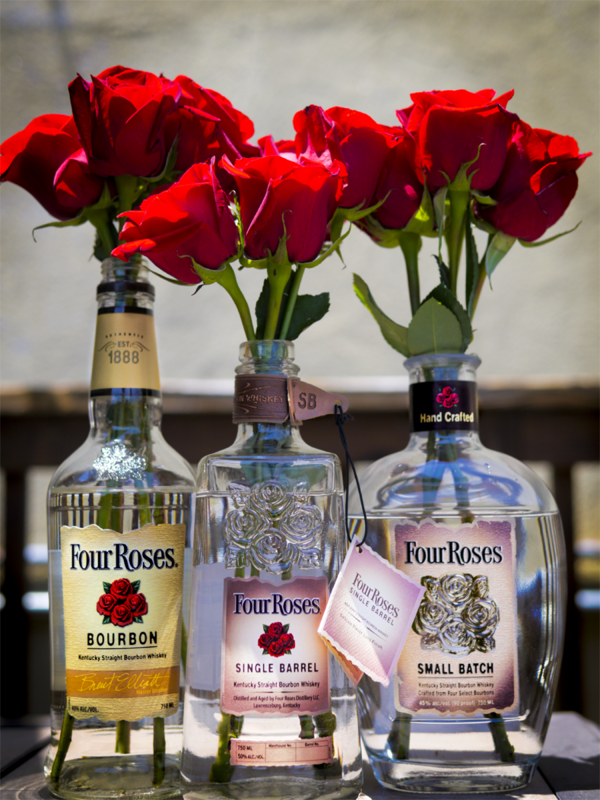 Fill empty Four Roses Bourbon, Four Roses Small Batch and Four Roses Single Barrel bottles with four red roses each and place on table tops. This is an easy way to impress your guests! Bring sugar, corn syrup, cocoa powder, and 1 cup water to a boil in a medium saucepan over medium-high heat, stirring to dissolve sugar. Reduce heat and simmer until it begins to thicken, 10–12 minutes. Add chocolate, Bourbon, and salt and return to a simmer, whisking. Cook, whisking until sauce is thick and glossy, about 5 minutes. Let cool before serving over ice cream. Recipe courtesy of bon appétit.